Tiramisu is one of those desserts it’s difficult to mess up. How could you go wrong with ladyfingers soaked in strong coffee, then pillowed by layers of luscious mascarpone blended with a heady liqueur? Quite simply, you can’t. You can, however, take it in an entirely new, and utterly delicious, direction, by turning it into a tea tiramisu such as Strawberry Earl Grey Tiramisu. 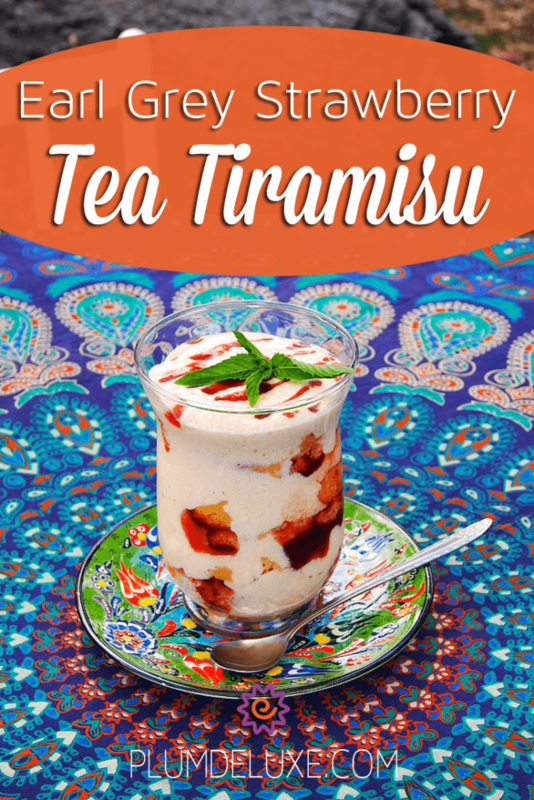 Tea tiramisu is a beautiful thing, not simply because it’s delicious, but because it lends itself to so many variations depending on the season, the weather, or your mood. It is an easy process, made easier by using pre-made ladyfingers and prepping your mascarpone mixture ahead of time. 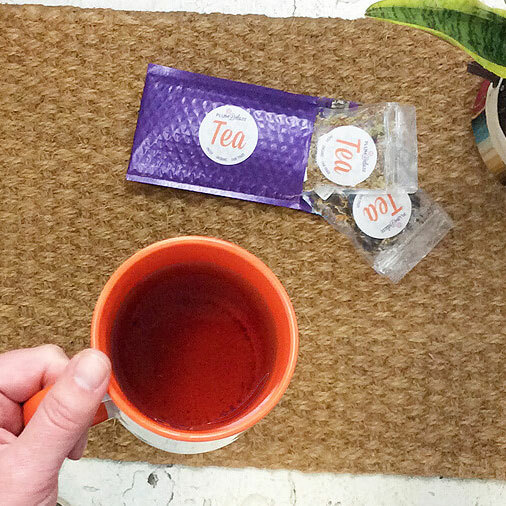 It all starts by choosing the flavor of tea you want. In my experience, it should be something black and strong to emulate the intense coffee flavor of traditional tiramisu. 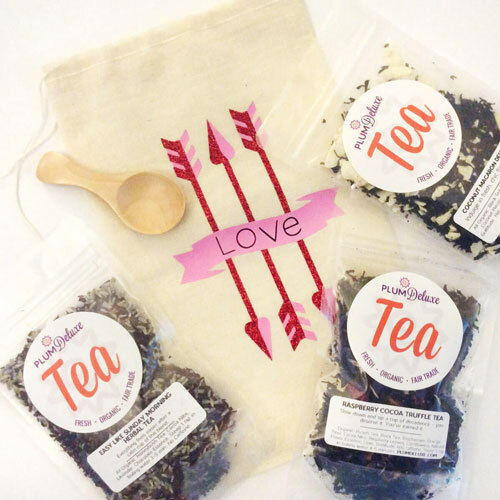 You could choose a black tea with citrus notes, or an after dinner one flavored with hazelnut or almond. And it’s especially divine made with our special Gratitude Blend strawberry Earl Grey tea. 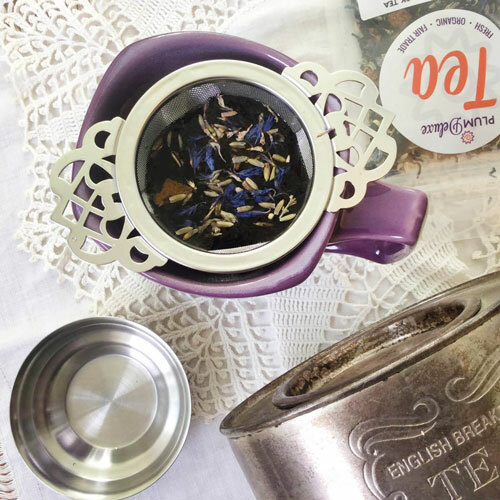 Once your tea is chosen, you can begin layering flavors that blend well with it. Make your tea dark and strong. For two cups of water I use 5-6 teaspoons of tea leaves. Steeped for 4-5 minutes, then strained, the tea will be the right temperature by the time the mascarpone filling is made and cooled. Mascarpone cheese by itself is too thick to spread, but when it’s mixed with fluffy egg yolks, whipped egg whites, and beautiful mounds of heavy whipped cream, it becomes light, smooth, and easy to spread over layers of tea-soaked ladyfingers. Adding in a drizzle of strawberry liqueur makes the creamy layer of this dessert even more luscious and decadent. The mascarpone cream will need to chill for a good thirty minutes so it is firm enough to hold its shape when sandwiched between layers of ladyfingers. 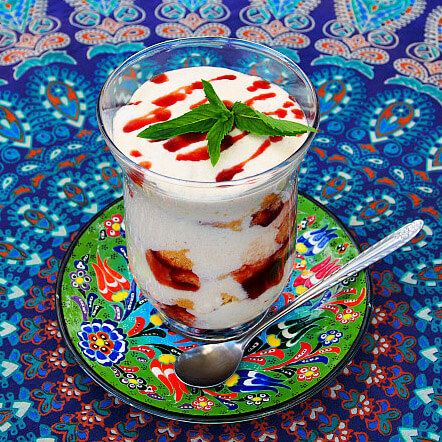 Once your tea is brewed and mascarpone cream is made and chilled, you’re ready to assemble your tea tiramisu. At this point you can make a large batch in a glass dish or serving bowl, or you can make single serving tea tiramisu in a collection of wide-mouthed glasses or dessert bowls. Whichever container you choose to use, cover the bottom with a single layer of ladyfingers dipped in tea. Cover the ladyfingers with half the mascarpone cream mixture, spreading it evenly. Drizzle lightly with strawberry syrup for an extra hit of strawberry flavor with every bite. Add another layer of tea-soaked ladyfingers, spread with the remaining mascarpone cream mixture, and drizzle with the final tablespoon of strawberry syrup. If you don’t have strawberry syrup, simply add water to strawberry jam, heat, and stir until smooth, then cool until ready to use. Cover the dish with plastic wrap and chill several hours until ready to serve. 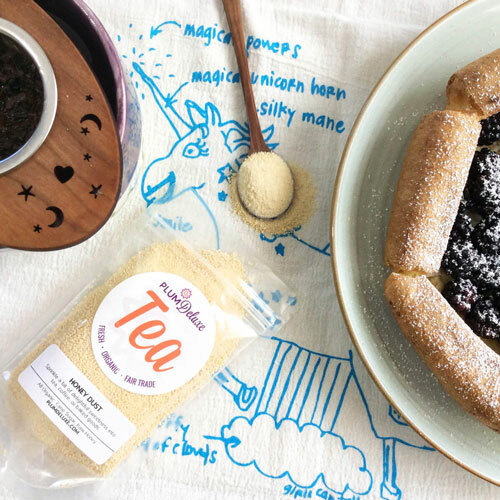 It’ll be the perfect dessert for your next Tuscan-themed tea party! In large bowl, beat egg yolks and sugar together until pale and creamy. Fold in mascarpone and strawberry liqueur. In separate bowl, whip cream until firm peaks form. Fold into the mascarpone mixture. In separate bowl, beat egg whites until stiff and glossy. Fold into mascarpone mixture. Cover and place in fridge for 30 minutes. In heatproof bowl, pour hot water over tea leaves and leave to step 4-5 minutes. Strain, discard leaves, and set aside until mascarpone mixture is cooled. Set 9×13-inch pan on counter. One at a time, dip ladyfingers in tea and place in single layer over bottom of pan. 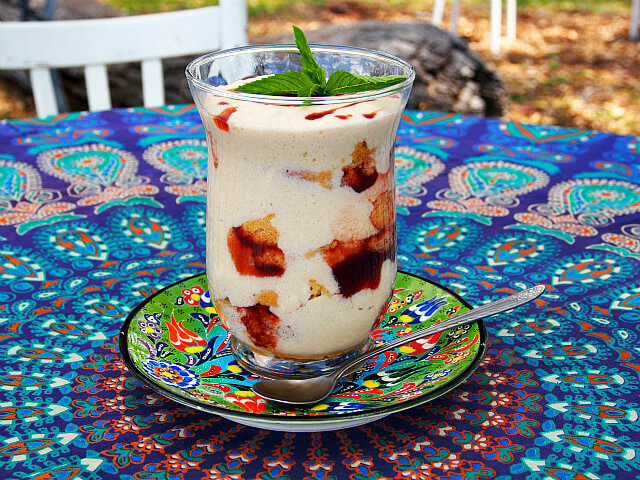 Spread half of the mascarpone mixture over the ladyfingers, and drizzle lightly with 1 tablespoon strawberry syrup. Cover this layer with another layer of tea-soaked ladyfingers, and top with remaining mascarpone mixture. Drizzle with remaining strawberry syrup, cover, and place in fridge at least 2 hours or until ready to serve. Want more Earl Grey tea dessert recipes? Check out our collection.